It’s difficult to register just how big the loss of Shaun Hill is to the Lions. Hill, Matthew Stafford’s backup the past four seasons, signed a one-year deal with the St. Louis Rams. He’ll be closer to his offseason home and he’ll have a good chance to learn the Rams system during OTAs since starter Sam Bradford is recovering from a torn ACL. He’ll reportedly earn $1.75 million with a chance for $2.25 million. The 34-year-old Hill is considered one of the NFL’s best backup quarterbacks. It’s not because he’s good at carrying a clipboard. Hill helped Stafford make the adjustment to the NFL. Daunte Culpepper was the backup Stafford’s rookie season, then the Lions made a trade for Hill prior to the 2010 season. It wasn’t just in practice that Hill helped mentor Stafford. Through each game. Hill kept his helmet on along the sidelines so he could hear the play calls. Then he’d watch the defense on each play. He’d convey the information to Stafford when he came off the field. Hill may not have played much the past three seasons, but his NFL experience was key. While his work ethic was unquestioned, he also had a great dry sense of humor and helped to keep the atmosphere light. The Lions wanted Hill to return, but the one thing they couldn’t offer is a chance to start. Stafford hasn’t missed a game in three seasons while Bradford missed nine in 2013 and six in 2011. Not many veterans available on the free agent quarterback tree these days. 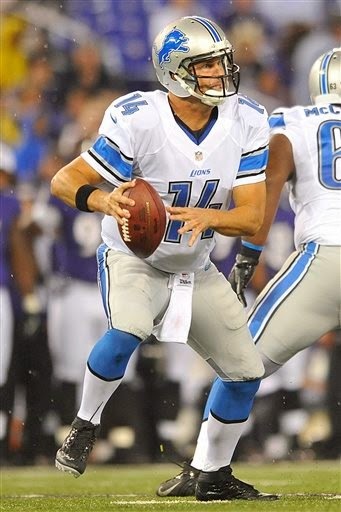 One is Dan Orlovsky who was with the Lions for four seasons (2005-2008). Also, general manager Martin Mayhew said the Lions could draft a quarterback in later rounds and use him or Kellen Moore as the No. 2 backup this season. Moore, who was signed as a rookie free agent in 2012, has improved in his two seasons with the Lions but has never played a snap in an NFL regular season game. Stafford, even at age 26, has five NFL seasons behind him. Not saying he can’t win without a quality veteran backup, but it certainly would be a benefit. While most of the NFL will be focused on quarterback Johnny Manziel Thursday at the Texas A&M pro day, the Lions will be watching wide receiver Mike Evans. General manager Martin Mayhew and coach JIm Caldwell will attend. The workouts will air live on the NFL Network at 11:30 a.m.
Evans (in photo) is considered the second-best wide receiver available in the draft. He could be one of the Lions’ top options with the 10th overall pick in the draft. Earlier this month Mayhew and Caldwell attended the pro day for wide receiver Sammy Watkins at Clemson. In fact Mayhew told reporters the two had dinner with Watkins’ family. Watkins is ranked as the top wide receiver prospect. If the Lions wanted to draft him it’s likely they would have to move up in the draft order. He’s expected to be a top five draft pick. 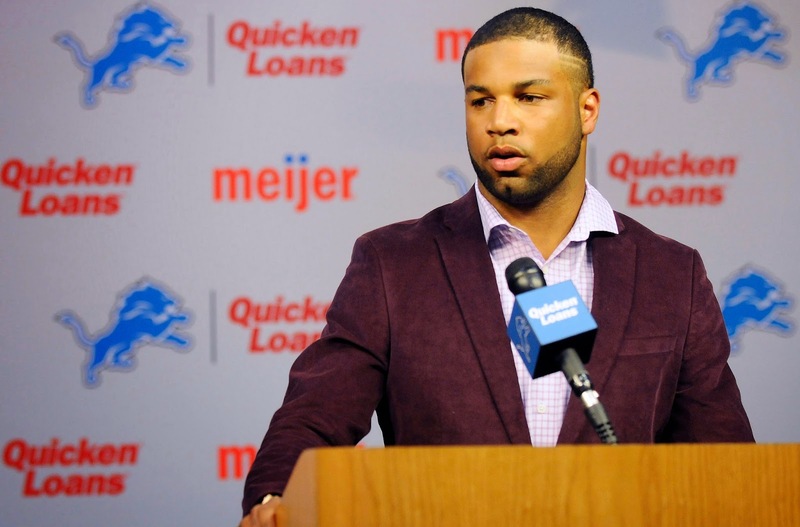 The Lions signed free agent wide receiver Golden Tate two weeks ago. With Shaun Hill gone to St. Louis, the Lions are short one quarterback. 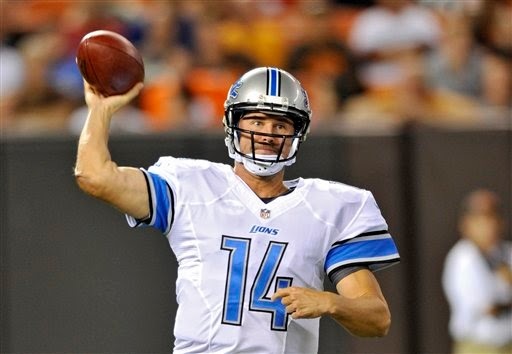 Former Lions quarterback Shaun Hill is expected to sign a one-year deal with the St. Loius Rams, per ESPN’s Adam Caplan. Hill was Matthew Stafford’s backup for four seasons. Kellen Moore has shown improvement since he was signed as an undrafted free agent two years ago, but he has not played a snap in the regular season. He could be in mix to work as the No. 2 quarterback. Also, expect the Lions to draft a quarterback in later rounds who they can possibly develop into a backup. Veteran Mark Sanchez is available, but according to team comments he doesn’t fit into the picture. The Lions originally passed on Sanchez in favor of Stafford in the 2009 draft which proved to be a good move. Hill’s one-year deal is for $1.75 million with the chance to earn as much as $2.25 million per NFL.com’s Ian Rapoport. Hill, who is 34, had mop-up duty in just two games in the past two seasons. 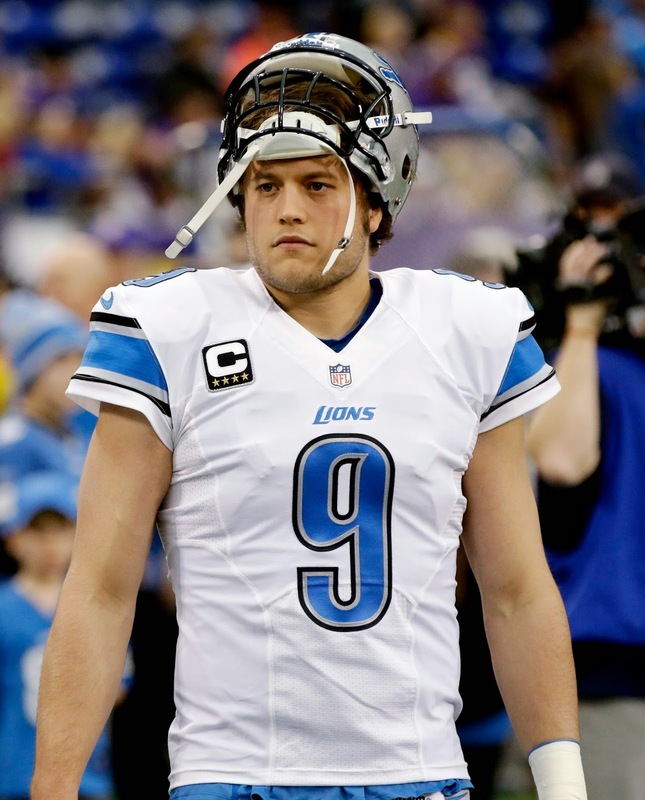 In 2010 when Stafford was injured, Hill played in 11 games, completing 257 passes for 2,686 yards and 16 touchdowns. Prior to Detroit he spent four seasons in San Francisco and four with the Vikings. The Detroit Lions are always looking for ways to give Lions fans a better game day experience. The Falcons, Seahawks and Buccaneers are taking that to another level. For premium seats they will offer in-seat visits by cheerleaders, according to ESPN reporter Darren Rovell. Has commissioner Roger Goodell approved that? Lions president Tom Lewand reiterated last week that the Lions are continuously looking to enhance the fan experience at Ford Field. "We want to have exclusive opportunities to consume the game,’’ Lewand said during an appearance at the MGM Grand Detroit. This could include pre-game video looks inside the locker room. It’s an ongoing effort to keep the fans happy through any means. The Lions have been adamant through the years that they won’t have cheerleaders and Lewand told reporters on Wednesday that hasn’t changed. If you missed Thursday's live chat on the Lions, you can catch up here. Will they move up in the draft? Who do they have an eye on? We talked about it all. Enjoy and join us at 3 p.m., Thursday, April 3 for the next chat. 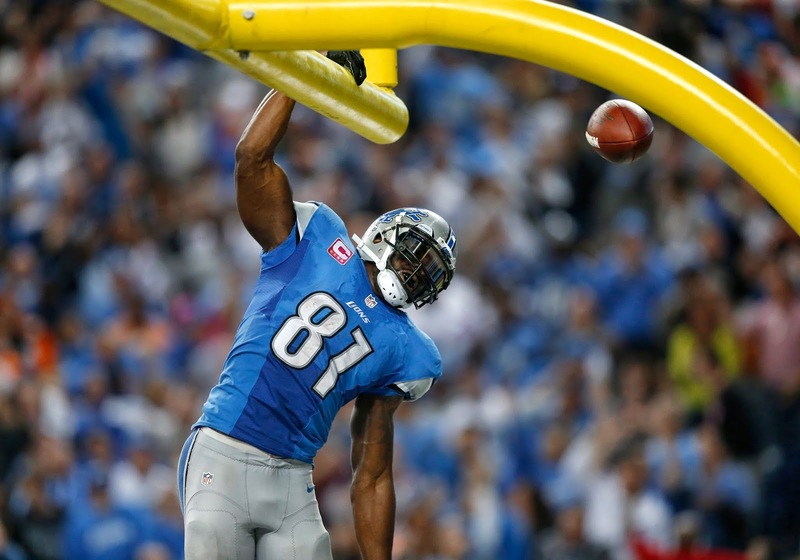 Quick, someone find video clips of Calvin Johnson dunking the football over the goal post after he scores a touchdown. It’s all ancient history now. The NFL is tweaking its rules at the league meetings this week. Dunking over the goal posts as a celebration? Gone. Dean Blandino, NFL head of officiating, told the Dan Patrick Show that move will result in a penalty. It’s not a new rule, but instead will be enforced because using the football as a prop for a touchdown celebration is a penalty. That’s just a shame. It’s a great classic move. 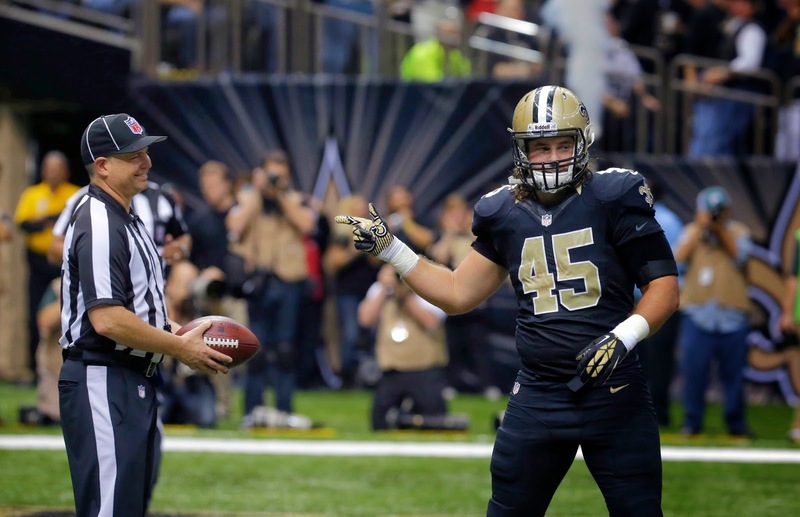 — During replay reviews, the referee will be allowed to consult with the NFL officiating department. Blandino will talk to the officials from the New York command center. Technically the referee will still have the final say. But this will give extra input from the league. Sjnce reviews aren’t all that common, hopefully this move won’t drag out the games. The NHL, which admittedly is not the same stratosphere, uses a command center in Toronto for replays and it seems to work. — “Roll up” blocks to the side of a player’s leg are now banned. These blocks were illegal from behind and now they’ve added side hits too. It gives defensive players more protection. More proposals and rule changes will face votes on Wednesday. “We are deeply saddened to learn of the passing of Mr. Wilson. He was a dear friend to Mr. and Mrs. Ford, the Ford Family and the Lions organization. “Mr. Wilson truly was one of the great visionaries and caretakers of our game. 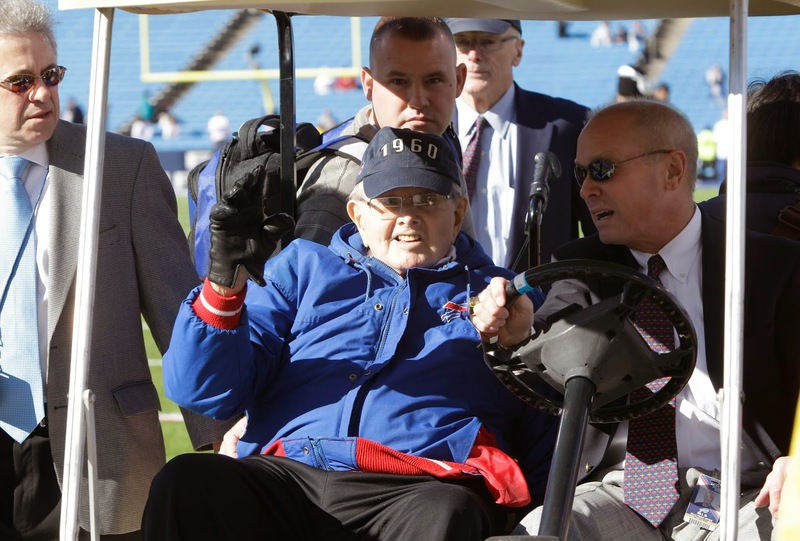 He was a great Detroiter and has left a lasting legacy for the city of Buffalo and Western New York. "We lost a tremendous leader and a true friend today, and his contributions to the NFL will endure forever. Lions owner William Clay Ford Sr., who was 88, died on March 8. Veteran safety James Ihedigbo has agreed to a two-year deal with the Detroit Lions. Ihedigbo broke the news on his Twitter account: "It's Agreed upon! I'm a @DetroitLionsNFL. I'm excited for what's ahead and helping this team achieve greatness!!! #HeartOfALion #LionsNation." 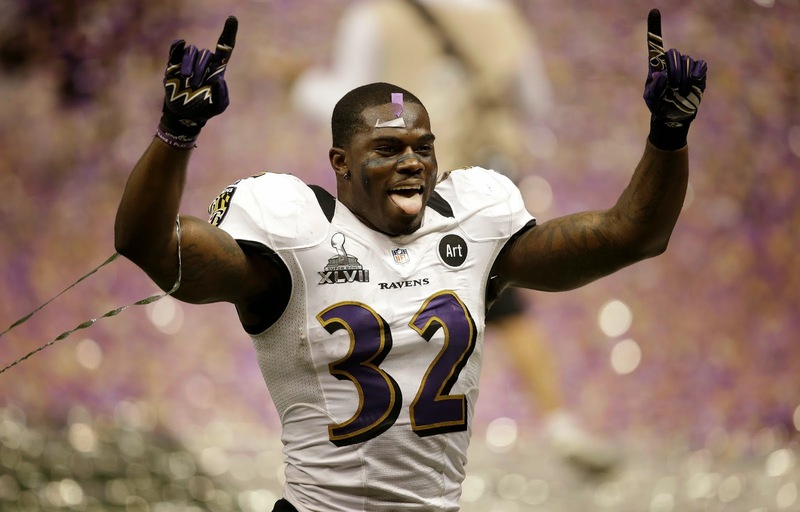 Ihedigbo, 30, played the last two seasons for the Baltimore Ravens. His secondary coach was Teryl Austin who is now the Lions defensive coordinator. The Ravens let him fly because they drafted first-round safety Matt Elam in 2013. Ihedigbo had a career-high 101 tackles along with three interceptions and a pair of forced fumbles last season. He replaces Louis Delmas who was released by the Lions and signed by the Miami Dolphins. Ihedigbo is expected to start for the Lions along with Glover Quin. Ihedigbo had visited the Lions two days after the start of free agency and then hired a new agent last week. The Lions hosted free agent safeties Thomas DeCoud and Chris Clemons on Friday. The Detroit Lions have been awarded two fourth-round compensatory picks for this year’s draft. The picks — 133rd and 136th overall — were announced early Monday evening. According to the NFL rules a team losing more or better compensatory free agents than it acquires in the previous year is eligible to receive compensatory picks. For the 2013 season, the Lions lost Cliff Avril, Gosder Cherilus, Justin Durant, Drayton Florence and Sammie Lee Hill. They gained Reggie Bush, Jason Jones and Glover Quin. The Lions will have one pick in each round with three in the fourth round and none in the fifth round due to the Mike Thomas trade. They’ll have eight overall picks, starting with the 10th overall pick in the first round. The compensatory picks are a bonus especially this year with such a deep draft. The draft is May 8-10, two weeks later than usual. The NFL released the amounts for the performance-based bonuses for the 2013 season on Monday. Nine of the Lions earned $100,000 or more based on performance — percentage of snaps played inverse to salary. In other words, the lowest-paid players earn the biggest bonuses. The bad news? They don’t get the checks until April 1, 2016. The Lions will pay out $3.46 million overall. Larry Warford benefited the most coming in at $260,630. The others: Kris Durham $220,174; Rashean Mathis $188,695; LaAdrian Waddle $181,182; Bill Bentley $127,600; Joique Bell $122,700; Israel Idonije $104,195; Joe Fauria $100,961 and DeJon Gomes $100,493. General manager Martin Mayhew said today that the Lions will not pick up the fifth-year option on Nick Fairley's contract. Mayhew told reporters the news in Orlando at the league meetings according to the team web site. Fairley will become an unrestricted free agent after the 2014 season. 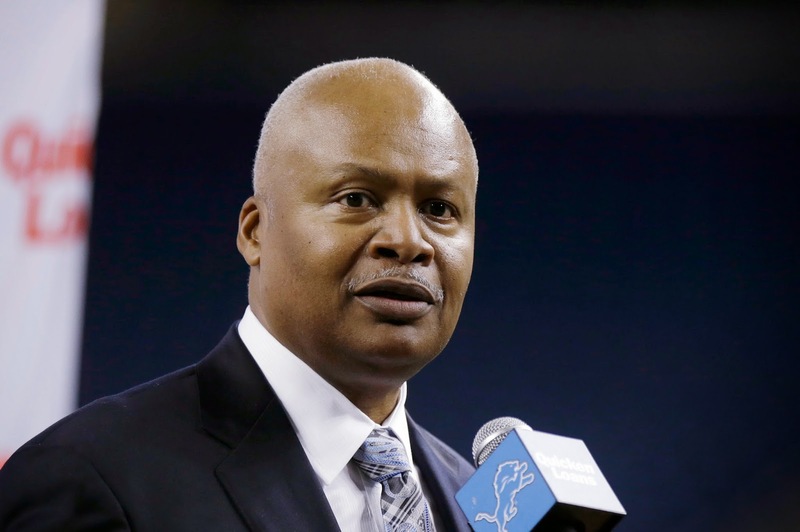 The Lions had until May 3 to decide whether to pick up the option for 2015, per the collective bargaining agreement. The option year would have paid Fairley $5.5 million. Mayhew said the defensive tackle is not worth that amount at this time. “He’s a phenomenal talent. This guy can be whatever he wants to be. That’s probably why I’m on him so hard,’’ Mayhew said on the team web site. Mayhew issued a warning shot a month ago at the NFL Combine when he said he wanted to see Fairley’s commitment to the offseason program improve. Obviously Mayhew has given Fairley an incentive to step up his offseason work and become more consistent in the 2014 season. Fairley, a first-round draft pick, originally signed a four-year, $9.889 million deal which was fully guaranteed and included a $5.69 million signing bonus. 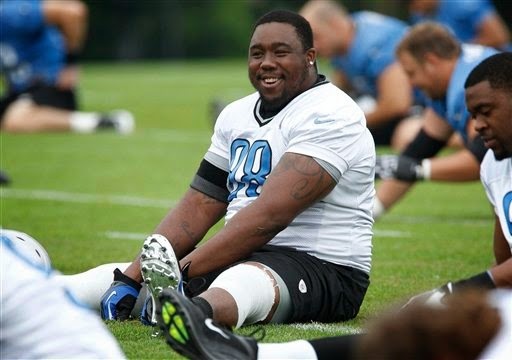 Fairley and running back Mikel Leshoure are the only members of the Lions' 2011 draft class still on the roster. Mayhew said in February Leshoure could have an expanded role on the offense this season. Statistics don’t tell the whole story, but it’s fun to check them out. 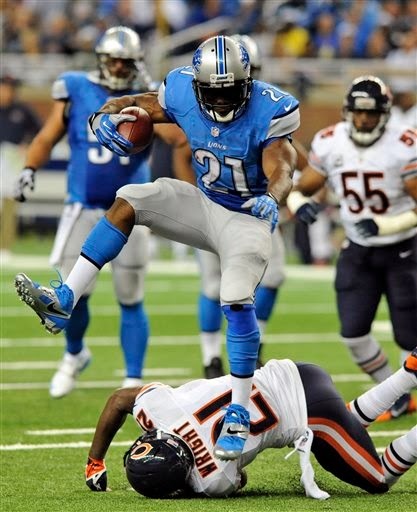 The Lions are looking for a starting safety to replace Louis Delmas who they released. The three candidates are James Ihedigbo, Chris Clemons and Thomas DeCoud. Clemons and DeCoud (in photo) visited the Lions today (Friday) according to various reports. Ihedigbo visited a week ago. Pro Football Focus ranked all safeties for the 2013 season with Ihedigbo at 16, Clemons at 19 and McCoud at 83 (that is not a typo). Curiously enough Delmas was ranked 26th and Glover Quin 11th. Looking back another year to 2012, Clemons was 25th, Ihedigbo was 43 and McCoud was 64th. Delmas was 51st. In 2012 Isa Abdul-Quddus was ranked 40th, he wasn’t ranked in 2013 because he played mostly special teams for the Saints. 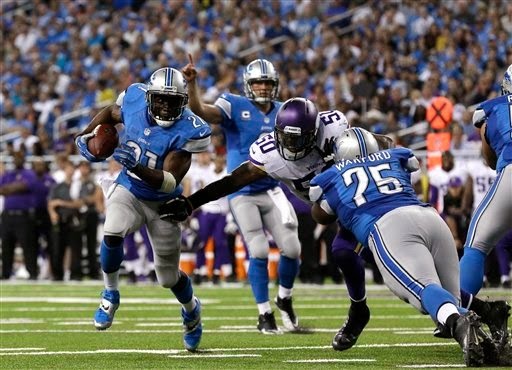 Abdul-Quddus, 24, has kind of snuck onto the Lions’ roster under the radar. He was awarded to the Lions off waivers on Feb. 3. Well maybe safety James Ihedigbo will not sign with the Lions. Ihedigbo visited the Lions last week leaving without a contract. However, he seemed optimistic a deal would get done. He hired a new agent earlier this week, but so far no contract with Detroit. 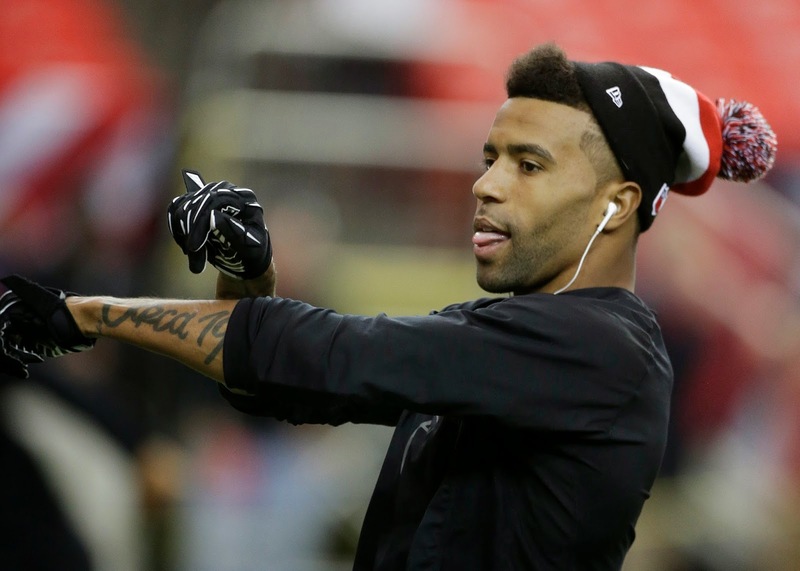 Enter Thomas DeCoud who visits the Lions today (Friday), according to ESPN’s Adam Schefter. Also Chris Clemons is expected to visit Friday according to Aaron Wilson of the Baltimore Sun. DeCoud, who would have made $4.2 million in 2014, who was cut by the Atlanta Falcons. The safety, who turned 29 on Wednesday, was a Pro Bowler in 2012 but struggled in 2013. In the last five seasons as the starter in Atlanta he missed just one game. Safety Chris Clemons was cut by the Miami Dolphins after five seasons there. He started all 16 games each of the last two seasons. The Lions released Louis Delmas and seek a replacement. It seemed Ihedigbo, who is 30, was a natural fit because he played the last two seasons with the Ravens where Teryl Austin, who is Lions defensive coordinator, was the secondary coach. 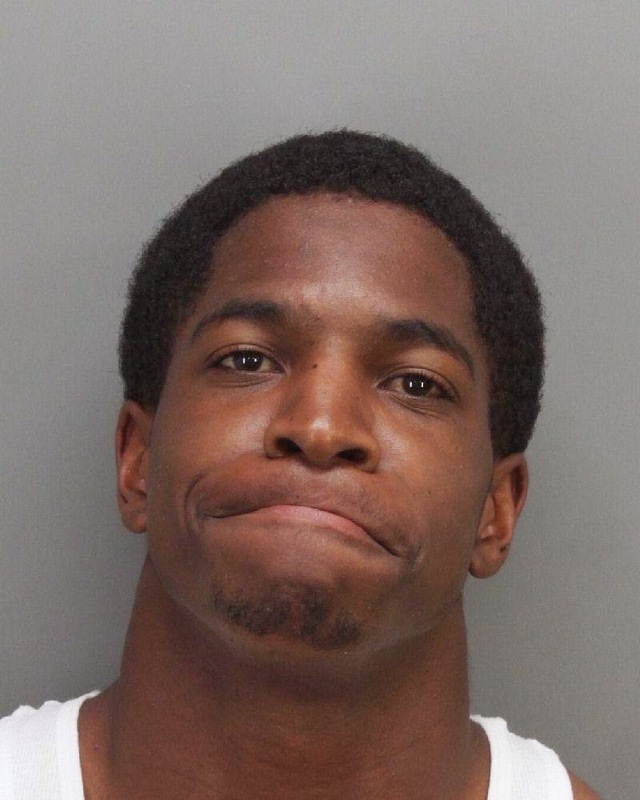 Titus Young, the former Detroit Lions wide receiver, appeared in court Thursday in Newport Beach, Calif.
Young faces 11 criminal charges including four felonies after a wild week last May. His attorney Altus Hudson said he is trying to keep Young out of jail and he is close to a plea agreement, according to USA Today reporter David Leon Moore. Hudson and a deputy district attorney met with Superior Court Judge Robert Gannon. Afterward they reported they were close to an agreement according to the report. A pre-trial hearing is set for April 10. At that time the matter could be resolved. Young, carrying a Bible, appeared in court with his mother according to the report. Titus Young was released by the Lions in February 2013 after a series of behavioral issues on and off the field. He was a second-round draft pick in 2011. The Oakland Press was the first to report that Young was arrested on May 5 twice in 15 hours — once for driving under the suspicion and then for trying to break into the impound lot to retrieve his black Ford Mustang. Six days later Young was arrested after breaking into a house in San Clemente and fighting with police. He had also been accused of stealing from a gas station on May 4. Ten days after free agency, the Lions still have two key positions to fill — starting safety and backup quarterback. Shaun Hill, who has been with the Lions for four seasons, visited the St. Louis Rams on Tuesday, but left without a contract. The Lions want him back and are still in the mix. If Hill signs with the Rams, the Lions will have to look elsewhere for a veteran backup. Coach Jim Caldwell learned the lesson the difficult way about going into a season without a veteran backup. He was the Indianapolis Colts coach in 2011 when Peyton Manning couldn’t play. The Colts went 2-14 and Caldwell lost his job. Kellen Moore is on the Lions’ roster, but he has never played a snap in an NFL game. Safety James Ihedigbo, who visited the Lions facility a week ago is expected to sign. He played for new Lions defensive coordinator Teryl Austin the last two seasons with the Baltimore Ravens. Ihedigbo hired a new agent this week, so would expect a decision soon. His price should be reasonable — he made $780,000 last season — and he started all 16 games for the Ravens so he’s a proven factor. The Ravens let him fly because they drafted first-round safety Matt Elam in 2013. The 30-year-old Ihedigbo knows the defense. If the Lions draft one or two safeties, Ihedigbo could help with their development. Like Golden Tate, who the Lions signed last week, Ihedigbo owns a Super Bowl ring. Tight end Eric Ebron said that the Detroit Lions are one of four teams he is scheduled to visit on a pre-draft interviews in April. Ebron was interviewed by ProFootballTalk.com today (Wednesday). He is considered the top tight end in the draft and could be available to the Lions who have the 10th overall pick. 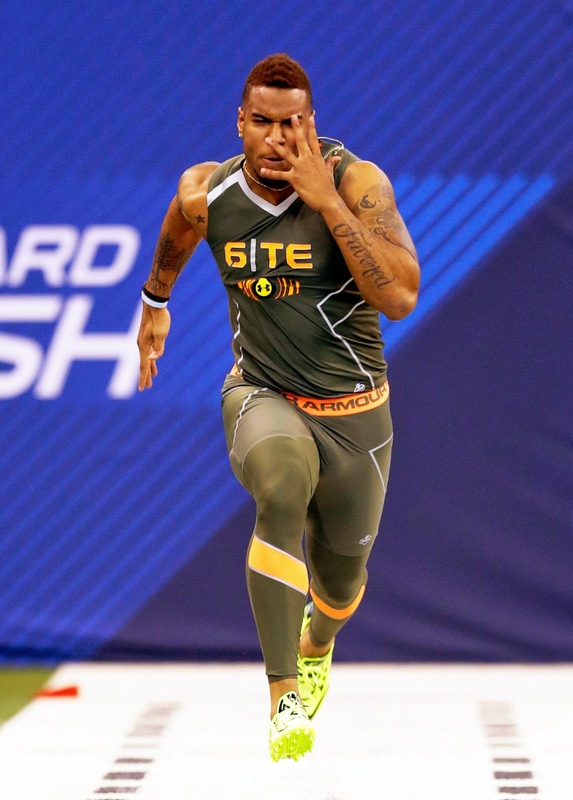 Ebron, 6-foot-4 and 250 pounds, played at North Carolina and ran a 4.60 in the 40-yard dash at the NFL Combine. Last season he established school records for single-season receptions (62), single-season receiving yards (973), career receptions (112) and career receiving yards (1,805) at tight end. Ebron said he will also visit the Bills, Ravens and Panthers. The NFL draft is later this year — May 8-10. It would appear that since the Lions re-signed tight end Brandon Pettigrew last week that they are all set at tight end. The other three tight ends on the roster include Joe Fauria, Michael Williams and Matt Veldman. However, general manager Martin Mayhew usually goes for the best player available when the Lions go on the clock at the draft. Another sign that the Lions’ offense will change under the new coaching staff, is the addition of a fullback. Free agent fullback Jed Collins signed a one-year deal on Wednesday. He’s familiar to offensive coordinator Joe Lombardi. Collins was with the New Orleans Saints from 2010 through last season while Lombardi was the quarterbacks coach there. The Lions are the eighth NFL team on the resume of the 28-year-old Collins who was originally signed as an undrafted free agent out of Washington State by the Philadelphia Eagles. Under Jim Schwartz the Lions’ offense did not employ a fullback. General manager Martin Mayhew said at the Combine that he was looking to add a fullback to the roster. Expect the Lions' offense to look much like the Saints' offensive scheme. Golden Tate, the wide receiver the Detroit Lions signed in free agency, originally wanted to return to the Seattle but the Seahawks were not willing to pay. “I really had no choice, I did my best to stay in the city of Seattle,’’ Tate said on the Bob and Groz Show on 710-AM Seattle on Tuesday. Tate signed a five-year, $31 million deal to play for the Lions last week. “Seattle offered a number that was laughable, it was laughable,’’ he said on the radio show. In fact, he explained that in Detroit he will earn in one year what he could earn in two years in Seattle. He explained that by signing in Detroit, he can set up his family for the rest of their lives. Tate loves the on-field opportunities that the Lions offer too. He’s all good with Calvin Johnson getting the attention from the No. 1 cornerbacks. He said he’s spoken with Matthew Stafford a few times, but hasn’t had a chance to talk with Johnson yet. “There’s a lot of similarities I think to Seattle and Detroit, they’re both — not you guys any more — striving for something to happen,’’ Tate said. “I think the last time they won a championship was ’57. They’ve been waiting for something special to happen for a long time. “The fans I hear are really, really passionate about their sports. You know that’s exciting because you know the type of player I am when I have (fans) cheering me on,’’ he added. “I see a ton of upside for myself and the city of Detroit,’’ Tate said. He’s disappointed that a vocal minority of Seahawks fans has been bashing him on social media for moving to Detroit. He said he knows football is a business and he had to do what was right for him. Tate will get to know his new teammates and coaches when Lions' offseason workouts start on April 7. Just because the Lions have a new coach, there is no rebuilding, no transition season. “We were very, very clear when we made the coaching change and we hired the new coach that the expectation is to win now,’’ team president Tom Lewand said at an appearance on Monday. That’s why they hired someone with head coaching experience. Make that successful head coaching experience. “What made (Jim Caldwel) a strong candidate is his expectations were similar to the expectations we have and our ownership has about the window we have to be successful now and to chase the Super Bowl championship today not at some point in the distant future,’’ Lewand said. Caldwell was hired two weeks after Jim Schwartz was fired. While he praised Schwartz for his efforts, he said there’s a different feeling at the practice facility with Caldwell in the building. While Caldwell has met some of his players, under the collective bargaining the offseason program can’t start until April 7. 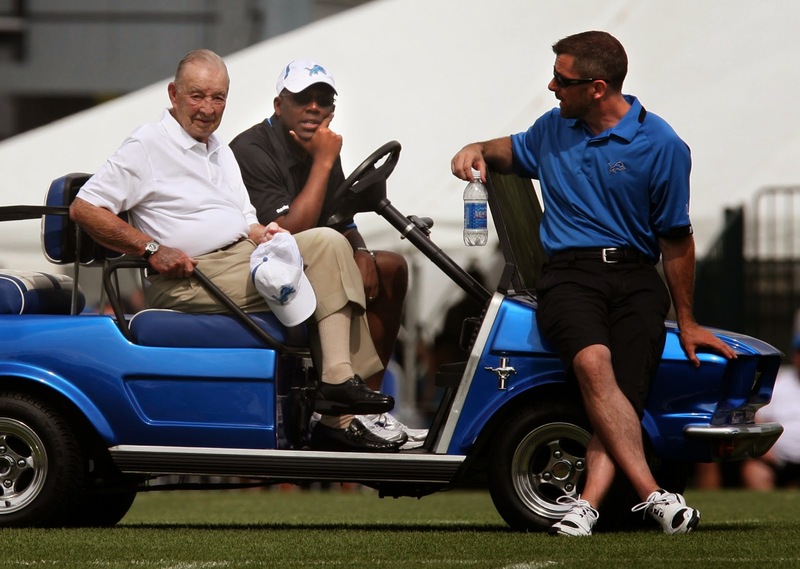 Lions' Tom Lewand shares a personal look at the late William Clay Ford Sr. When Lions owner William Clay Ford Sr., died on March 9 at age 88, team president issued a respectful statement. Lewand knew and worked for Ford for 19 seasons. He shared a more personal look at an appearance on Monday night at the MGM Grand Detroit. When Matthew Stafford met the new Lions quarterback coach Jim Bob Cooter, team president Tom Lewand happened to be in the hallway. “Matthew said, ‘Is it Jim? Bob? “No, it’s Jim Bob,’’’ Cooter said. “He owns it, I respect it,’’ Lewand said obviously referring to the name which sounds a little more Dukes of Hazard than NFL. Cooter has flown under the radar a bit. He was hired after the big wave of new assistant hires by Jim Caldwell because he was an offensive assistant for the Denver Broncos who, you might remember, played in the Super Bowl. “He’s a really good football coach, he was extremely well thought of in Denver,’’ Lewand said. In fact, Broncos coach John Fox told Lewand at the NFL Combine that they tried to keep him, but they couldn’t promote him because they had a good quarterbacks coach. Cooter, who played quarterback in college at Tennessee, had worked with Jim Caldwell with the Indianapolis Colts. 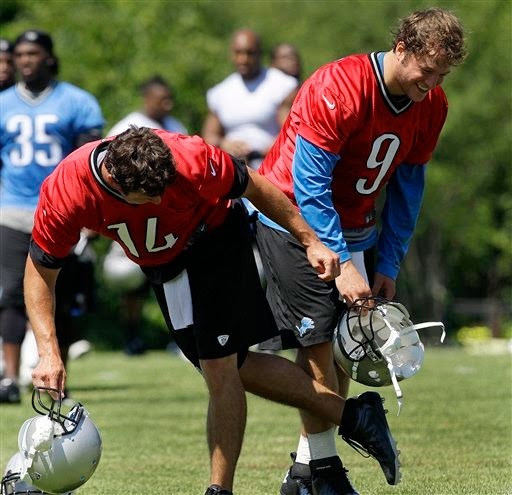 Along with Caldwell and offensive coordinator Joe Lombardi, they will work to get the best out of Stafford. 1. Ndamukong Suh will sign a long-term contract extension, but it could happen after the draft which is May 8-10. He just signed a new agent (Jimmy Sexton) before the start of free agency. This is going to take some time, but it will happen. The Lions were not counting on the extension being done before free agency although it would have been a bonus. A year ago Matthew Stafford did a contract extension which was final in early July. 2. Expect free agent safety James Ihedigbo to sign this week. He visited last week and it seems signing will be basically a formality. Then look for the Lions to draft one or two safeties in the early rounds. Ihedigbo should start along with Glover Quin, then the young safeties can be groomed for the future. 3. If Shaun Hill signs with the St. Louis Rams (he’s visiting there today), look for another veteran quarterback to be signed as a backup. Ryan Fitzpatrick who had that role with the Titans last season was cut on Friday. He is a strong possibility. If Hill doesn’t sign in St. Louis, look for him to come back to Detroit. 4. Even though the Lions signed free agent wide receiver Golden Tate, they could still draft wide receiver Mike Evans with the 10th overall pick in the draft. Evans, the 6-foot-5 wide receiver from Texas A&M, is worthy of the 10th overall pick. Mel Kiper thinks this is a strong possibility and I agree. Getting a safety or a cornerback at that spot could be a reach. Since they re-signed Brandon Pettigrew, they don’t need tight end Eric Ebron. They do have some interest in pass rusher Anthony Barr from UCLA. 5. Don’t expect any major changes with the way the team is run after the death of owner William Clay Ford Sr. His son Bill has been the vice chairman of the team since 1995 and will continue in that role. Controlling interest of the team has been passed down to his wife Martha.